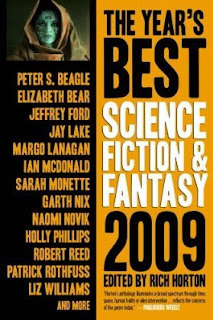 I just found out that in The Year's Best Science Fiction and Fantasy, 2009 Edition a short story will be included from Patrick Rothfuss author of the fantastic The Name of the Wind. 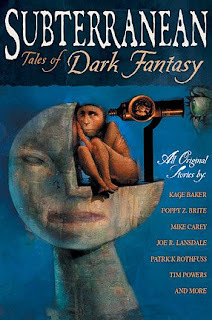 The most likely culprit is The Road to Levinshir which was in Subterranean Tales of Dark Fantasy the $75 limited edition anthology that was out of most fans price range. This story is supposed to be a chapter or two from The Wise Man's Fear. If anyone has any other clue please post away. This could be a nice hold over for us since The Wise Man's Fear still has no official release date. Also, if you haven't read Rothfuss's The Name of the Wind shame on you and get to it.